Fast forward to a few days before Thanksgiving, when I was having a very hard time deciding what to make in the chocolate category for our dinner. Suddenly, I remembered this cake and became very excited about making it. Now having made this cake, I will tell you that it is evil. It’s not a simple cake to make, thus making it evil in my book. However, it is so jam-packed with goodness, making it evil in a whole other way. So, let me paint the picture for you. Three layers of chocolate cake soaked with salted caramel and frosted with a caramel chocolate ganache, which was perhaps the most decadent thing I’ve ever put on a cake. With a pound each of butter and chocolate, not to mention all that heavy cream, I think that is a safe assumption. 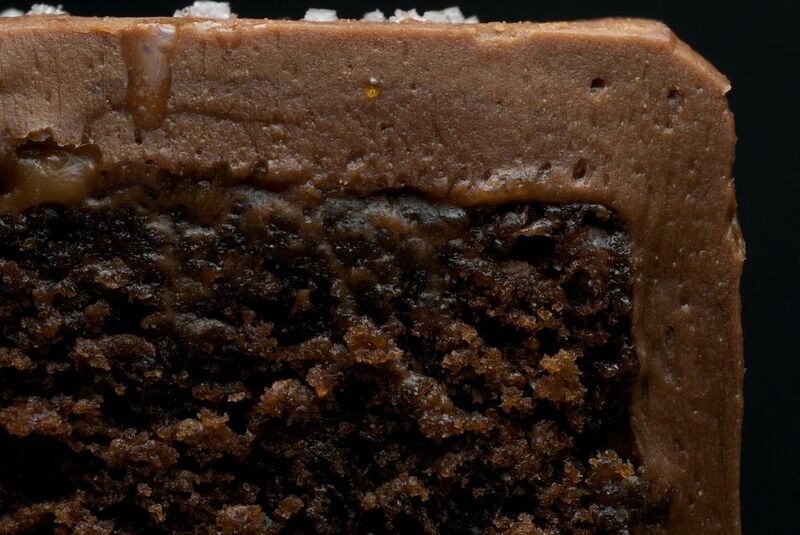 The combination of all that chocolate and salted caramel is just amazing. I readily admit that I won’t be eager to make this one again, just from an effort standpoint. That being said, it is probably one of the very best cakes I’ve ever had the pleasure to eat. 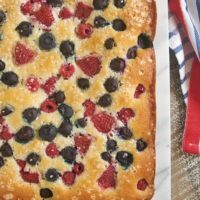 So, for those of you who enjoy making these labor-intensive cakes, you’ll be doubly rewarded with baking it and eating it. Just be sure to save a piece for me. 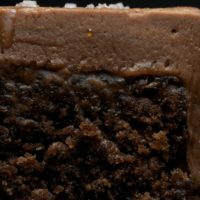 Sweet and Salty Cake is a rich, delicious chocolate cake with salted caramel, chocolate-caramel frosting, and a sprinkling of salt. Absolutely delicious! Preheat oven to 325°F. Butter three 8-inch round cake pans. Line the bottom of each with parchment paper, and butter the parchment. Dust with flour and knock out the excess. Combine the cocoa powder, hot water, and sour cream. Set aside to cool. Sift the flour, baking power, baking soda, and salt together. Set aside. Using an electric mixer, beat the butter and shortening on medium speed until ribbon-like, about 5 minutes. Add both the sugars and beat until light and fluffy, about 5 minutes. Add the eggs, one at a time, and beat well after each addition. Add the vanilla and mix well. Scrape down the sides of the bowl and mix again for 30 seconds. Add the flour mixture, alternating with the cocoa mixture, in three portions, beginning and ending with the flour mixture. Divide the batter evenly among the prepared pans and smooth the tops. Bake 35-40 minutes, rotating the pans halfway through. Cakes are done when a toothpick inserted in the center of each cake comes out clean. Cool the cakes in the pans for 20 minutes on wire racks. Remove from the pans and let cool completely. Remove the parchment paper. In a small saucepan, combine the cream and fleur de sel. Bring to a simmer over very low heat until the salt has dissolved. Be careful not to let the cream burn. In a medium saucepan, combine 1/4 cup water, sugar, and corn syrup, stirring carefully so as not to splash the sides of the pan. Cook over high heat about 6-8 minutes, until an instant-read thermometer reads 350°. Remove from heat and let cool for 1 minute. Add the cream mixture to the sugar mixture. Whisk in the sour cream. Let the caramel cool to room temperature, then transfer to an airtight container and refrigerate until time to assemble the cake. Put the chocolate in a large heatproof bowl and set aside. Bring the cream to a simmer over very low heat. Make sure the cream does not burn. In a medium saucepan, combine 1/4 cup water, sugar, and corn syrup, stirring carefully so as not to splash the sides of the pan. Cook over high heat for 6-8 minutes until an instant-read thermometer reads 350°F. Remove from the heat and let the caramel cool for 1 minute. Add the cream to the caramel. Stir slowly for 2 minutes. Then, pour the caramel over the chocolate. Let sit for 1 minute. Then, starting in the center of the bowl, and working out to the edges, slowly stir in a circle until chocolate is completely melted. Let cool, then transfer to the bowl of an electric mixer. Mix on low speed until the bowl feels cool to the touch. Increase speed to medium-high and gradually add the butter, beating until thoroughly incorporated. 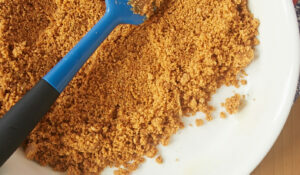 Scrape down the sides and beat on high speed until the mixture is fluffy. Place one cake layer on a serving platter. Spread 1/4 cup caramel over the top, letting it soak into the cake. Spread 3/4 cup of ganache frosting over the caramel. Sprinkle 1 teaspoon fleur de sel over the frosting. Top with the second cake layer. Spread with frosting and sprinkle with 1 teaspoon fleur de sel. Top with the third cake layer. Spread with caramel. Crumb coat the cake and put the cake in the refrigerator for 15 minutes. Frost the sides and top with the remaining frosting. Garnish with a sprinkle of fleur de sel. Cake will keep at room temperature (cool and humidity-free) for up to 3 days. May be refrigerated for up to 3 days. Allow the cake to sit at room temperature for at least 2 hours before serving. Recipe very slightly adapted from Baked: New Frontiers in Baking. Wow, those close-ups are amazing. The salted caramel hot chocolate is all the rage at Starbucks this year. This sounds fabulous!! And probably worth the effort?? It was going to happen sooner or later… I was going to blog this tomorrow! I made this for my friend Joc’s bday two weekends ago and it was, indeed, insane. I am still recovering from the POUND of butter, just in the frosting. Did you have any trouble with your caramel oozing out the sides? It kept popping through the frosting, decoratively, of course. was it a long tedious process? I don’t know if I am up for that. Even though this looks delicious, I have a very short attention span, especially when baking! Praise the chocolate gods this looks incredible. It reminds me of my favorite chocolate bar by Chocopologie, 71% cocoa squares filled with burnt caramel and hawaiin sea salt…. it’s pretty much this cake packed into a 1″x1″ confection. 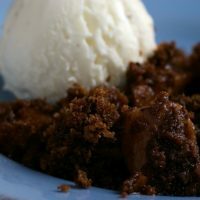 Chocolate cake is my sister’s favorite, and I’ve been looking for a recipe to impress her with…looks like this is the one! That looks seriously delicious. Your photography is beautiful! Your photos look amazing! I’m a huge fan of salty/sweet combos, so I’m for sure trying this one! I have htis cookbook, but have yet to make this cake…it looks AMAZING! 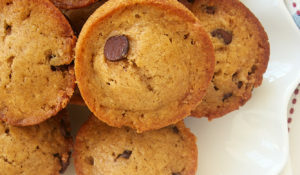 You must try the banana espresso chocolate chip mufiins…they are SO good!!!!! It looks well worth the effort!! Wish I had a piece! This looks wonderful, the caramel alone I could eat! They just moved into Charleston and I have yet to visit them or look at their book. You have so tempted me! Deb, I suppose you’re right. This was sure to happen eventually. I’ll look forward to reading about and seeing your cake. As for the caramel, I didn’t really have problems with it, but then again the cake didn’t last long with our Thanksgiving crowd, otherwise it might have happened evevtually. Amanda, nothing about making it was really that hard. There are just many, many steps. I think you can make parts of this over a couple of days and then put it all together. That would at least help some. I don’t have a lot of baking patience either, which is why Quinn is the official cake froster in our house. Wow, I can just taste that picture. Looks fantastic! Hmmm… sounds like a delicious challenge to me! Wow… “whipped caramel ganache frosting?” thats like my 4 favorite words in one title. This is going into my MUST Bake file. And… I hear good things about that cookbook, I should pick it up. My jaw dropped, that is. oh! I’ve been wanting to make this cake. 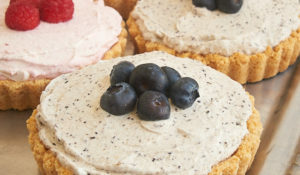 Cakespy interview the guys from Baked recently and this cake sounds wonderful!! Judging by your description, I’ll have to make it! Ooo this cake looks delicious and sounds even better! I still have to check out this cookbook. This one has my name written all over it. I wish I could have a bite now! oh my – taht cake looks absolutely decadent! 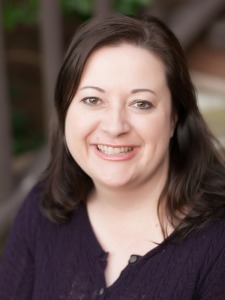 I just found your blog – love it! I was also inspired by and loved to bake with my grandfather. I’m so glad I found this blog – thanks! I can’t seem to find the number of servings. 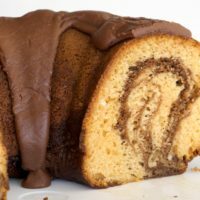 I am in charge of Christmas dessert and need to feed about 16, would this work? I made this cake too and agree…it is sinfully delicious! The salted caramel sauce by itself is to die for! looks amazing! also, your photographs are unbelievably wonderful. what lens do you use, if you don’t mind my asking? You take the best pictures!!! You always having me drooling over your latest creation. The picture alone is enough to make me want this cake. I want cake! Salty caramely chocolate cake!!! Oh, the cake is evil alright….like sinful! THE BEST chocolate cake ever!! This was so good and was a definite hit at Thanksgiving! I regret not taking some with us when we divided the leftovers. What was I thinking?! katy, we have a Nikon D200 and a 60mm macro lens. thanks! i have a canon, but i’m sure there’s something comparable. I am sooooo getting this book, everyone raves about it. If ever a dessert is orgasmic, this would be the dessert. I can’t even believe how good this looks. I need that book desperately!! This looks insanely good!! Oh I might have just drooled on my keyboard…that looks AMAZING! That cake sounds like something I would undertake, thinking I felt like make a grand cake and about half way through I’d just want the whole thing to be over! It looks great thought. Oh.My.God. I need this cake..now! Wow that cake looks so sinfully delish! I’m not quite sure I know what “crumb coat the cake” means? Stacey, a crumb coat is a thin layer of frosting applied all over the cake. Then, the final layer of frosting is spread on top of that. 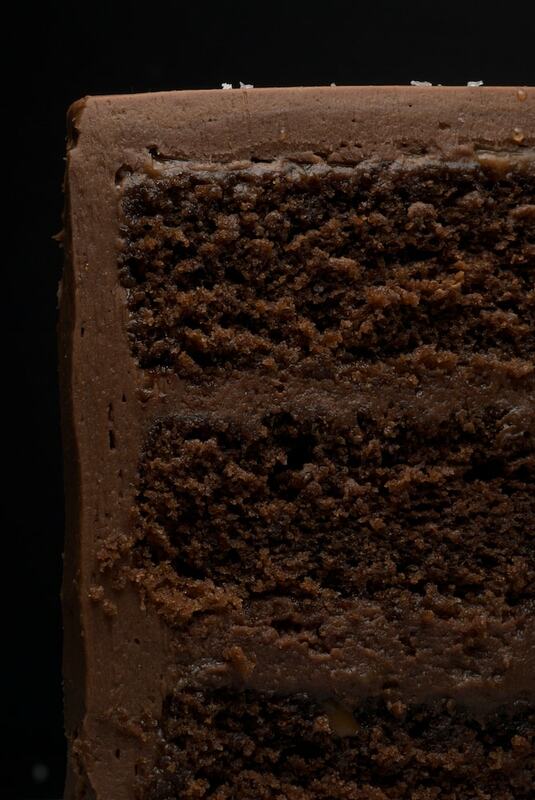 It keeps crumbs from showing up in the top layer of frosting, making your cake all the more lovely! First time here…this cake looks absolutely delicious..a real treat. I just bought this book and love it! This cake keeps calling to me every time I leaf through. Glad to hear it tastes as good as it sounds. I agree with Jennifer about the muffins – they’re great. Devilishly decadent…that’s what it is! SWOON!! This looks amazing! Worth ditching my diet for! That is one crazy cake. I love salted caramel. All other “death by chocolate” cakes are amateurs compared to this! I’m not sure if I can find fleur de sel around here – what else will work? OR is that just a fancy name for sea salt? Beverly, sea salt is just fine. Enjoy the cake! I’m in the process of making this cake (the cake is already made and in the freezer). I just finished the caramel sauce and plan to do the frosting tomorrow and put it together for my sister’s birthday. 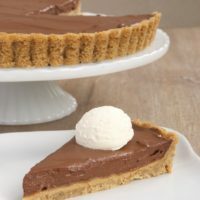 I have a question – for the icing, the recipe says “dark chocolate” – I’m a little confused about this – does this mean bittersweet, unsweetened or semi-sweet chocolate? Phillip, it’s really your preference. I would go with either semi-sweet or bittersweet. If I remember correctly, I used semi-sweet. i am DYING to make this cake. the thing is, the crowd i roll with does not take well to things like salt on cake. i would make it for myself, but death by cake consumption is not in my 5 year plan. how would this fare without the salt? how much do you notice it when you eat the cake and do you think i’d be able to get away with putting it between the layers (not as a garnish on top)? Courtney, you can certainly leave the salt off the top of the cake. The caramel layer is salty, but not too heavy. You might be able to sneak it past them. Good luck! I made this cake today and had the hardest time with the syrup/sugar mixture. At 350 it was definitely burnt. I tried again and burned it at 300. Finally I just cooked it for the 6 minutes, let it rest for a minute and then added the cream, but portions of the syrup solidified and what I ended up doing was mixing it the best I could and then just putting it through a sieve to salvage what I had. The cake turned out very rich and was loved by all, but please tell me what I did wrong!!!! marie, I wish I knew the magic trick to getting that part right, but it took a couple of tries in my kitchen, too. Candy-making is not my strongest area, by any stretch. There’s a lot of trial and error on my part. I do have one bit of advice. If you’re using a pan that carries over heat, then try taking it off the heat before it’s done. That carry-over can cause disaster. Stopping at a lower temperature may help, especially considering that 320-350° or so is the usual temperature for making caramel. I made this cake and took it to my in laws house Easter weekend. EVERYONE LOVED IT! It is so amazing, describing its perfectness is impossible. Thanks so much for posting this recipe! Well worth the time and effort! I made this cake a couple of days ago it took about 3 hours to make. is it good?? Yes it is but i probably won’t be making it again any time soon! I will use the actual chocolate cake recipe from now on though…it is moist and rich..just delicious! I made this the other day and it took a long time granted but it tasted amazing! It was really moist and the caramel worked perfectly but the ganache I had to throw in the fridge for a bit. But all in all, delicious! I made this cake for my birthday and really did not like it. There was a lot of labor involved – I made it over three nights – which would have been fine if the cake had been spectacular. Instead, the cake itself was dry and nothing special, despite the fussy steps involved, and the frosting was so over-the-top-rich that it was barely edible. The salted caramel under the frosting was delicious, though. I will definitely use that with a different cake and frosting recipe next time. 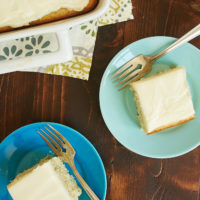 I absolutely love everything about your blog- your presentation, the way the pictures make you want to take a bite out of your computer screen, the easy access to your recipes- just everything! This particular recipe caught my eye and I can’t wait to try it. Keep up the inspiring work! Cake recipes are the specialty of my best friend, my favorite ones are those exotic fruit cakes.;. I like that the cake is made with different layers. Makes its look so tasty. I’m baking cookies tonight and plan on basing them off of this sweet and salty cake. thinking about making just a one or 2 layer version of this! I somehow lost the link to this cake .. I normally make it every year on Christmas Eve because my extended family of 40 raves over it every year at our get together ..I’ve done it the past 3 years and just couldn’t locate it this year.. I just stumbled across your website and a little light bulb went off in my head.. Ahhhh.. Writing this link everywhere 🙂 this cake is amazing.. And I’m going to need to find another reason to make it ha 🙂 New Years!